It has been (unforgivingly) over a month since my last update, but in the past month, I’ve had my laptop of seven years decidedly give up on me. In a series of unfortunate events, my precious bit of technology from home and I have parted ways, though I continue trying to bring it back to life. As sad as it has been to lose my beloved macbook that I’ve had since my high school days, a lot has happened here in Spain. In the midst of my computer problems, I decided it was an opportune time to visit a new city in Spain. As I’ve mentioned elsewhere, I’ve managed to visit 10+ cities in Spain. 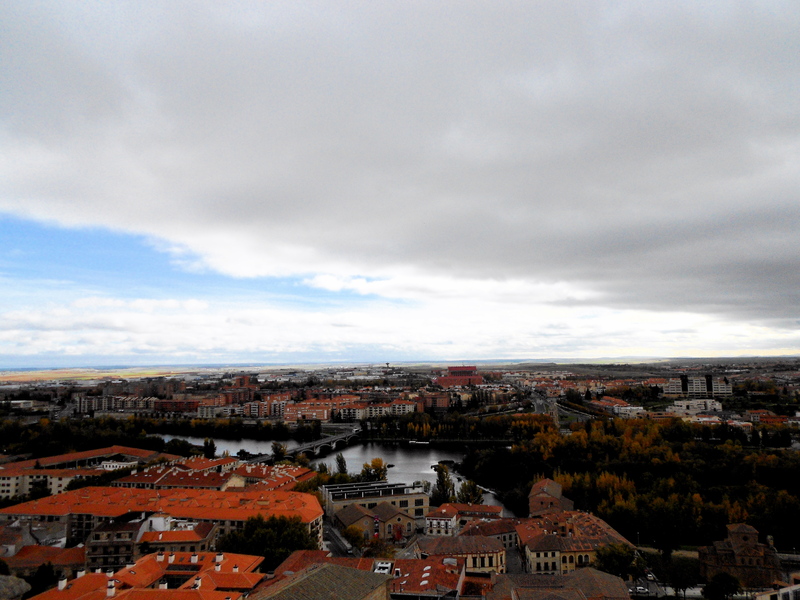 However, I had never made a long enough stop to Castile and León, Spain’s largest province. From what my many students have told me over the past year, Castile and León is a greener and colder province, though not quite the same as Spain’s northern tip. Salamanca, in particular, has been recommended to me various times as the ideal escape from Madrid’s hustle-and-bustle. In short, it’s true: Salamanca really is a convenient place to be to experience the calmer life, with it being only a couple hours away from the capital. Whether you’ve read up on Salamanca’s rich university culture or its history, it’s definitely a place to see whilst in the middle of Spain. Fortunately for us, the train ticket cost 30 euro (round trip), whilst there were plenty of hostels and places to stay for less than 20 euro per night. In general, Salamanca is a very cheap desination, with local attractions – mostly historical places – being fairly inexpensive. There was, however, one attraction that cost quite a bit. Legend has it that the University of Salamanca – the oldest university in Spain – has a lucky frog hanging around. Anyone who sees this frog is said to return to Salamanca in the near future, or to have extra luck in learning Spanish. There’s a frog-related attraction near the university that costs approximately 15 euro, which made my naturally skeptical self even less inclined to believe in the tale! Despite that, it’s interesting to see such an old tradition still vibrantly embedded in the city’s culture, with Spaniards from all over the country visiting the nation’s oldest center for higher education. 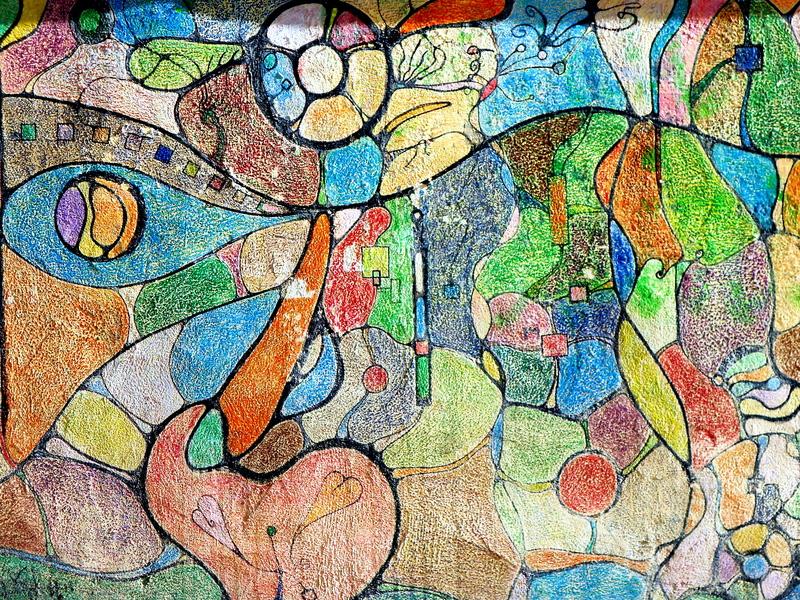 Marker graffiti in the city. In general, the city gets an “A+” grade in terms of how easy it is to navigate. The city is extremely small, meaning we were able to walk within it (and all around it) in less than a day. The streets are reminiscent of Madrid’s mountainous north, though even older looking. Salamanca’s Plaza Mayor is quite similar to Madrid’s (it’s been said that Madrid’s Plaza Mayor was modelled after Salamanca’s), thus making it less interesting to me. 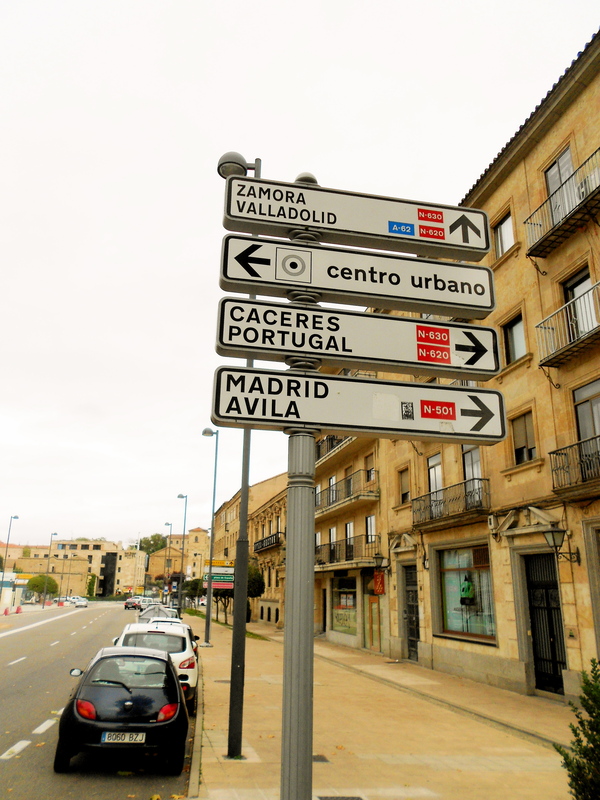 Though the inner city is utterly central Spanish, historical, and easy to get around (not as much of a positive for me, but for most people, it is), it was Salamanca’s outskirts and bridge that appealed to me. As I stood atop one of the Cathedrals, I looked out to see what lied just beyond the city walls. I don’t know if I’ve ever seen anything like it, yet I’ve seen it before – a small, yet full city, a Parisian-like river separating the city from a more modern border town, then fields of green crops as the sun shone in shades of purple and blue. Needless to say, it was then I knew I needed to walk out of town, down its bridge, to see the trees. You see, the Canadian in me gets a little restless without some forestry, space to run, and a place to hear the wind. Therefore, in a strange, yet predictable way, it wasn’t really Salamanca’s actual city that appealed to me on this trip – it was the nature it had to offer. Yet again, Spain manages to surprise me, but I welcome it every time. My view from the top. For future travellers in Spain’s central area, I recommend visiting Salamanca for a day trip (if it’s the city you need to see). If you’re anything like me, though, you’ll want a little more than a day to experience its lushness. There’s nothing quite like taking in a little green. Tags: 2013, Adventure, Blog, Europe, Green, Madrid, Musings, Nature, photography, Post, Salamanca, Spain, thoughts, Travel, Update. Bookmark the permalink. Nice photographs of a beautiful city. Me too! Thanks for the comment. Hope you go there soon! 🙂 I’m not that far, who knows!! Great post! 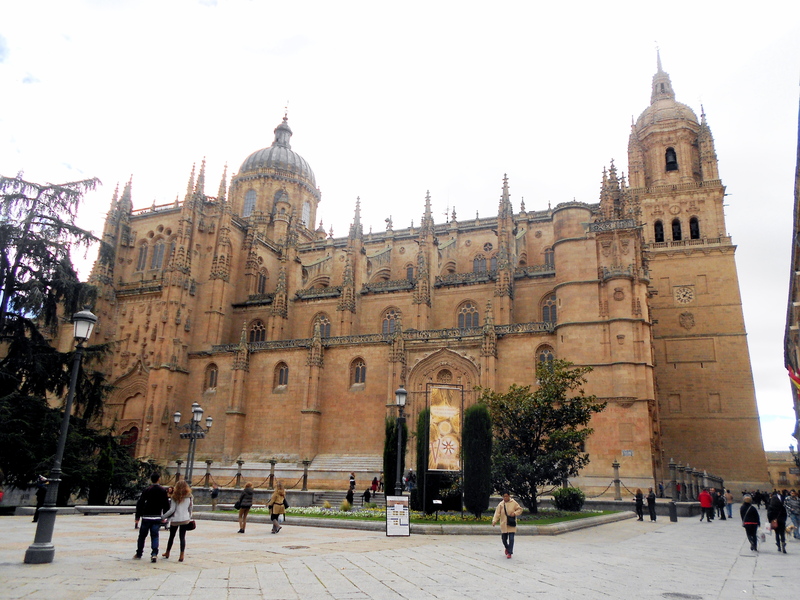 I love, love Salamanca, because I lived there and met my husband there. So many great memories. It will always be in my top two Spanish cities.